A key part of our development process, See | Dos facilitate key conversations early on and keep developers, designers and product owners on the same page. Click to learn more. 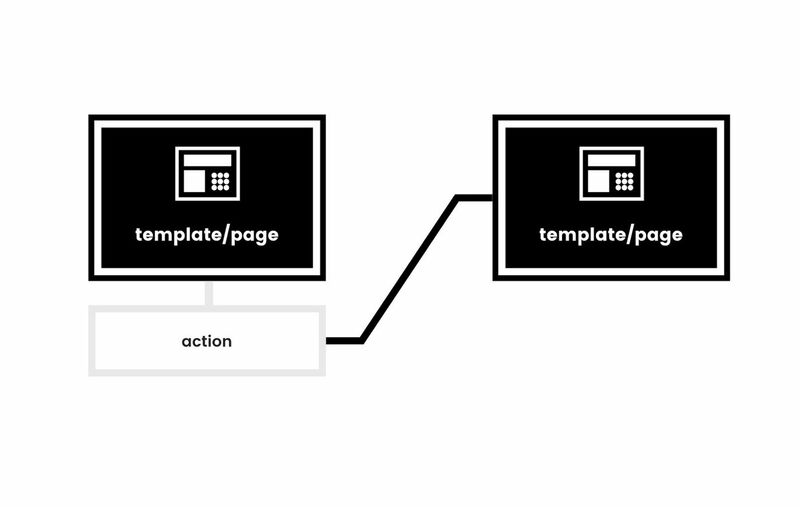 A See | Do is a visual way to capture actions a user will take when using an application. A See | Do literally maps out what users "See" in each interface and what each component needs to "Do" — or what the expected outcome will be. Why Not Just Build a Sitemap? 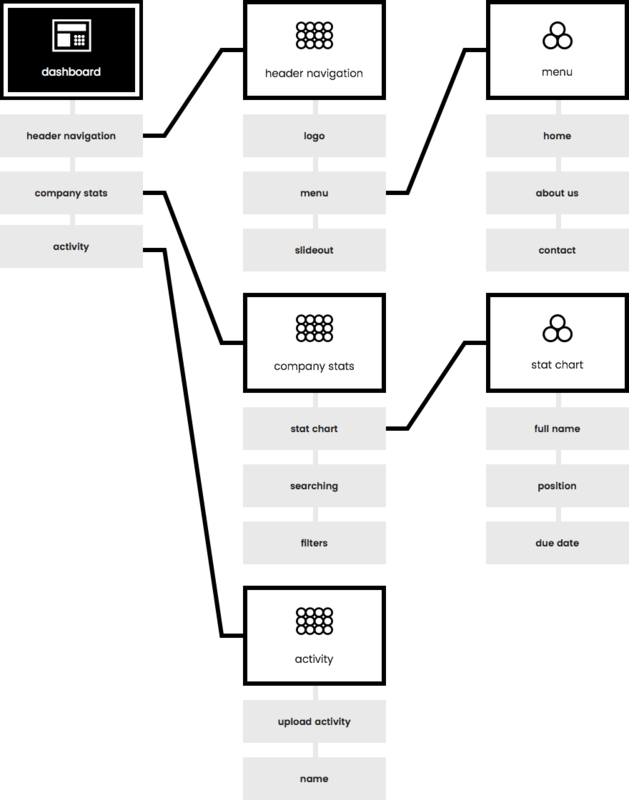 Sitemaps are useful for determining the page structure of an application. A See | Do is less of a sitemap and more of a user experience map, visualizing key actions a user will take in an application or key feature. Learn more about atomic design here. A See | Do shows both happy paths and sad paths. Happy paths are what happens when something happens the way it was intended; sad paths are what happens when an error occurs. Why Use a See | Do? A See | Do is a great way to show what an application needs before starting on the wireframes, and it facilitates key conversations early on in the process. See | Dos can help us determine the the tech stack we use, the APIs we need to connect with, user flows, core pathways, and components — giving designers, engineers, and product owners a shared orientation to the project from the from the very beginning. While See | Dos focus on UX and core pathways, component gathering allows us to map every interface element on a page or feature. Components and See | Dos have similar structures, but components are designed with a full gray background instead of a gray border. When we start a new epic for a project, we begin build out a high-level See | Do. Once complete, the See | Do is placed in InVision and linked to that epic card in our project management tool. After the core pathways are established, the component gathering will take place for each of the job stories defined in that epic. The component map will be placed on each job story card. From there, an engineer can begin building the scaffolding for the application, while the designer works on wireframes. There are many ways to approach a See | Do, and every project is different: some may call for a deep dive into a specific use case, while surface level may be sufficient for others. Finally, keep in mind: See | Dos are not meant to be final. They aren’t the end-all, be-all for a feature or epic. They exist simply to help us better understand what we’re building before we build — and to help clients visualize the product before they actually see it. Download the Sketch template file on our dribbble page!